I must admit that on this thruhike the food was really getting to me. 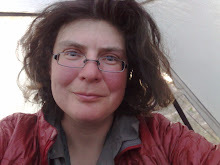 I had been eating Lipton Sidedishes for half a year on the CDT in 07 and now I had to eat Lipton Sidedishes for another half year on the AT with only a short break of German food in between. I started to hate Lipton Sidedishes. And Idahon Mashed Potatoes. Not to mention Top Ramen Noodle Soup. Even with thruhiker hunger it took me forever to eat me dinners. But then my friend Wolfgang came to my rescue. He had already sent me resupply packages to the PCT and CDT. On the AT I sent him a long list of what food I wash craving - basically the German version of Lipton sidedishes. The package was sent to Pearisburg and resulted in a very happy German hiker. I could eat something different than Lipton sidedishes for a whole week. Sweet and sour noodles instead of Teriaky noodles. Tomatoe Mozarella instead of Cheddar Broccoli. 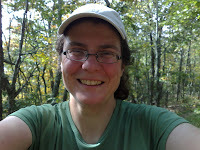 I know it sounds ridiculous to non-hikers, but for a hiker this can change the world. Thank you so much Wolfgang! But the biggest surprise came from Toek and the Netherlands. Toek and me had hiked whole New Mexico together and of course I had always been bitching about the American chocolate. So when Toek emailed me and volunteered to send a care package I was sort of expecting chocolate. But what finally arrived in Damascus exceeded my wildest expectations. 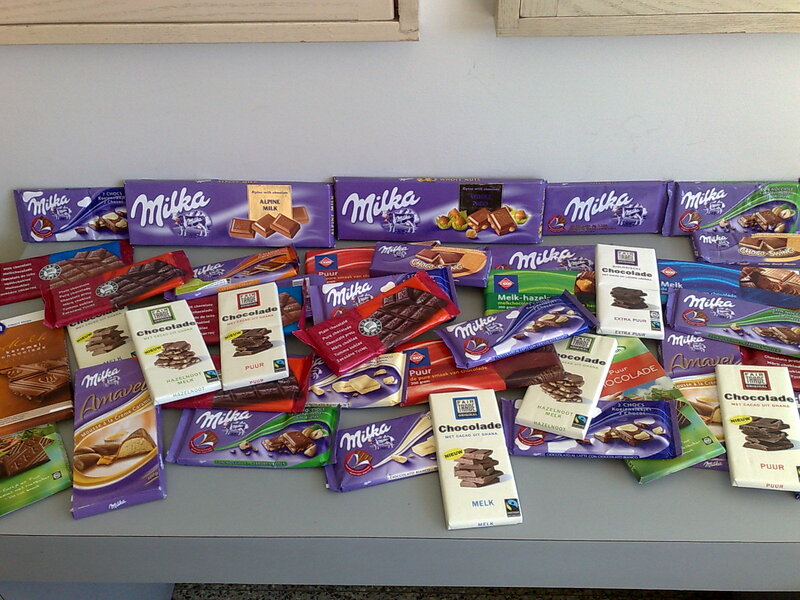 Toek had sent me 12 (in words: twelve) pounds of chocolate. Good European chocolate. 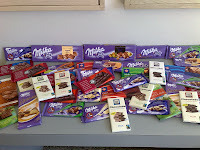 Milka chocolate, Fair Trade chocolate, Euroshopper chocolate. Milk chocolate, hazelnut chocolate, caramel chocolate. To say that I was overwhelmed is an understatement. I opened the package and could not believe my eyes. This chocolate will accompany me through the rest of the AT - I keep bouncing it ahead. Toek, this was the best birthday/triple crown present I could possibly imagine. I took pictures of it so whenever I am hungry I can look at it again. Toek, you are fantastic.